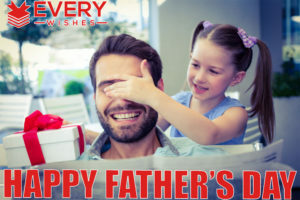 Want to make some Father’s Day Wishes , looking inside all of the birthday cards to find the right one, prefer to send an e-Card to your friend on his or her special day, or even like making your own, there are many different ways you can make a message that is just the right to wish well for your friend. Here are some ideas to get you started. Your guiding hand on my shoulder,Will remain with me forever.Thanks for always being there Papa.Happy Father’s Day! No one’s Father is so sweet.Your kind ways just can’t be beaten.I Love you in a big way,Wish you a very Happy Father’s Day! God gave me the greatest gift I ever had,God gave me a best friend in the form of my dad.Father’s Day wishes for a dad who is one in a million! Happy Father’s Day meansMore than flowers and giftsIt means saying Thank YouIt means saying I Love YouYou are the best dad and my best friendToday is your day. For the best dad who always had a smile for me.Though we may be far apart right now,But here’s a big hug and kiss for my special Dad. 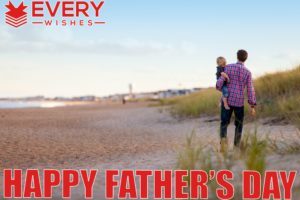 Happy Father’s Day!I want to tell youHow much you mean to meBcoz you are alwaysThought about in such a special way,And do so much to brighten any day.Wish you a Happy Fathers Day. Thank You DadFor being my pillar of strength andFountain of wisdomThank You for everything you are.Life is more beautiful when you are around.Happy Fathers Day! Here’s a little song to say “Happy, happy Father’s day!”No one’s Father is so sweet.Your kind ways just can’t be beaten.Happy happy Father’s day;I love you in a big way!With Love on Father’s Day. Daddy is my special friend,The two of us are buddies.I always like the things we do,I’m thankful for my daddy.Happy Father’s Day Dad!! Prayer 1God our Father,in your wisdom and love, you made all things.Bless those fathers, who have taken upon themselvesthe responsibility of parenting.Bless those who have lost a spouse to death … or divorcewho are parenting their children alone.Strengthen them by your love that they may becomethe loving, caring persons they are meant to be.Grant this through Christ our Lord.Amen! Prayer 2God, bless all the fathers in the world.Guide them to be good role modelsand loving to all their children.Help them to be a father like You are.Give them grace and patienceto handle situations in a loving way.Amen! Prayer 3Fathers everywhere,We honor you and wish to sayMay God’s blessings be with youMay God’s blessings be with youIn a special way today! Prayer 4Lord, please take care of our dads.Though they are brave and protective,they must also be frightened sometimes.When money runs low and when we need things,Lord, when their hearts break because they can’t do it all;Please help us to let them know how much we love them.And how much You love them.Amen! Prayer 5Lord, I Thank you for my dadPlease take care of himHe is getting older,but he is still brave and boldPlease take care of himAmen! Prayer 6Thank you, friend Jesus,for my father who loves me,for my grandfather who cares for meand for God, my eternal father,who made me and is always with me.How Blessed I am!Amen! Prayer 7God our FatherBless these men,that they may find strength as fathers.Let the example of their faith and love shine forth.Grant that we, their sons and daughters,may honor them alwayswith a spirit of profound respect.Amen! A dad is a personWho’s loving and kind,And often he knowsWhat you have on your mind.He’s someone who listens,Suggest and defends…A dad can be oneOf your very best friends!He’s proud of your triumphs,But when things go wrong,A dad can be patientAnd helpful and strong.In all that you doA dad’s love plays a part –There’s always a place for himDeep in your heart –And each year that passes,You’re even more glad,More grateful and proudJust to call him your dad! Walk a little slower daddysaid a little child so small,I’m following your footstepsand I don’t want to fall. I would want to lead just rightand know that I was true,so walk a little slower daddy,For I must follow you! I’m sure, like me, you often feelWhen all is said and doneThe job of raising kids todayIs not an easy one. I’d be lost without your shouldersSo much broader than my ownTo lean upon when problemsSeem too big to solve alone. As long as we’re togetherWe can weather storm and strifeAnd take in stride the ups and downsThat go with family life. And someday when our little onesAre old enough to standStraight and tall without the needOf any helping hand. We won’t recall how hard it wasWe’ll just be proud and gladWe happened to be chosenFor the roles of Mum and Dad! Father’s day is celebrated to honor all the fathers and the fatherly figures of the world. It is the day when people appreciate the part played by their dads in their lives. 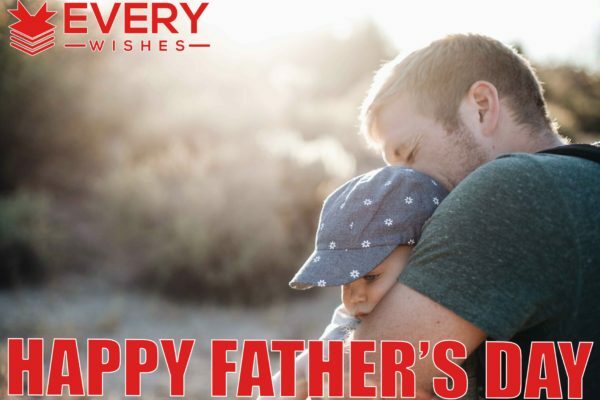 Fathers receive gifts and beautiful greeting cards from their children, who appreciate and thank their dads for providing them a solid support whenever they were faced with testing situations. No other person in the world can replace or substitute the presence of your father in your life. Birthdays are always special and when it’s your father’s birthday, the fun and excitement just double. You would obviously want to make the day memorable for him. Just as your father has made all your birthdays special and worth remembering, you should also make his birthday unforgettable and truly special. The father-daughter relationship is probably the most beautiful relationship in the world. It is a special relationship and an eternal bond that remains unfazed by the vicissitudes of life. Irrespective of the circumstances, the father-daughter association only strengthens with time and blossoms into a beautiful relationship that is infinitely precious. Fathers have been one of the most beautiful gifts given to us by god. Their constant presence in our lives makes us feel secure and protected. We can’t even imagine losing them and they are as integral to our existence as our beloved mothers are. However, most of us don’t express gratitude to them the way we do to our mothers. A father-son relationship is one of the most understated and modest relationships. However, only a father and his son know the beauty of the bond they share. Most of the sons secretly wish to be like their father and hold them in high regard and most of the fathers want their son to surpass them and scale great heights in life. Father’s Day is an occasion to honor the benign presence of our dad in our lives. He has been our support system, whom we can fall back on, in times of need. He ensures that all our demands are sufficiently met and he does his best to give us all the pleasures of life. Thank your dad for all his care and concern on this Father’s Day. Being a new parent is undoubtedly one of the most memorable and pleasurable experiences in life. For a new father, Father’s Day is especially a moment filled with loads of joyous anticipation. 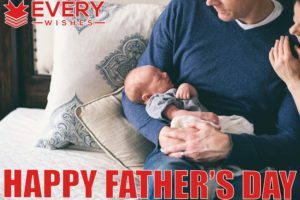 In case you know a dad or a grand dad who would be celebrating his first Father’s Day with his child or grandchild, make sure to forward your hearty compliments. Most of us are really at a fix when it is the time to decide on a Father’s Day gift. What to present a man who seems to have everything he wants? Do you realize that the time dad spends with his family are probably the most invaluable moments of his life? You can gift your daddy some more precious moments and a box of laughter this Father’s Day. Father’s Day is a time when we make our dad and all the father figures in our lives, including our grandpa, feel special. There are times when we just look up to these people for their wisdom and aegis. Amongst all these people, a grand dad is the one who adores us, spoils us and pampers us the most. Father’s Day is the best time to offer your deepest gratitude and love for your father. Everyone has their unique way of expressing messages across to their dads. Some children prefer baking a cake for him, while others might arrange a surprise evening party for papa’s sake. Poems help you express your dad’s importance in your life through the loving messages that they convey. A short poem can definitely be one of the best gifts that you can present to your father on this Father’s Day. It is sure to help you express your feelings for him in a brief, but lyrical manner. A step dad is often subjected to dislike and criticism by his children. It could be because they do not usually appreciate another male substituting their dad’s place. However, do we realize how difficult it is for a man to father someone else’s, children? Like a biological father; he too has his own set of domestic challenges and responsibilities. The next precious possession after a mother come to the father. Fathers have always been important for the proper upbringing of a kid. They sacrifice their parties, treasuries, and lives to convert their little child into a well-developed and successful human being. Father’s Day gives you an opportunity to thank your dads for all their adorable scolding and affectionate punishments. A day to honor fathers, Father’s Day is celebrated on the third Sunday of June in most of the countries. It is a day of commemoration and celebration of fathers where it gives you a chance to express your love and respect towards your inspiration and guide – your father. Father’s Day is the prefect occasion to shower your appreciation and warmth to your father and other father figures. Fatherhood is the most blissful feeling, which a man aspires to have in his life. The small bundle of joy that comes in the life of the new parents not only brings with it great pleasures but also adds a new dimension to their life. While mothers are given special attention, the joy and the sacrifice of a father mostly goes unnoticed. 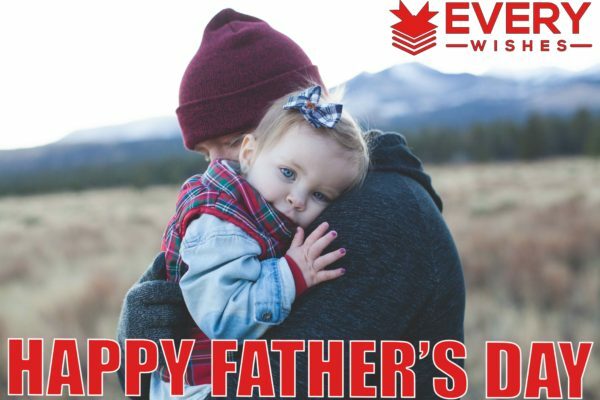 Father’s Day gives you a beautiful, rather special opportunity to appreciate and honor the presence of your dad in your life. He has been there through thick and thin and has provided you support whenever you wanted. It is natural to take such continuous support for granted and though your father may never complain of your ignorance or ingratitude making him feel special and cared for on Father’s day will make him realize how important he is for you. If I could write in your card, I’d tell you how great of a dad you are. Even though I’m small, I can tell I take up a big part of your heart. I’m glad I have a dad who is big and strong like you. Thank you for helping mommy take care of me. I don’t think she would be able to handle all the work by herself. The best thing about having you as my dad is being able to honestly say, “My dad can beat up your dad” to just about anyone. 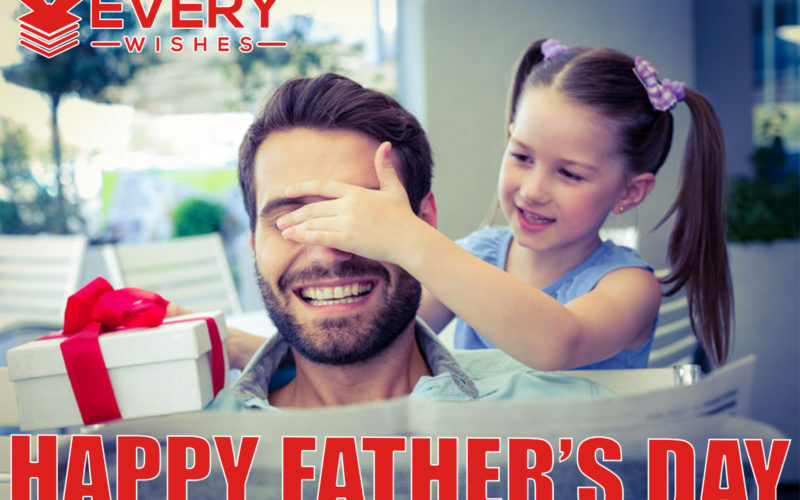 I was going to get you some hunting or fishing gear for Father’s day, but I know that you’re good enough to use your bare hands. I could write something touchy-feely in your Father’s Day card. But I learned in school that when I write, I should keep my audience in mind. I couldn’t write what I really wanted to express to you in the card, so I’ll just have to give you a big hug for Father’s day. I know that you are a lot like an M&M. You are hard on the outside, and you’re sweet on the inside. Looks can be deceiving, but we’ll keep it our little secret. I appreciate your role in my life. I learn from and look up to you often. Since you’re my stepfather, I hope you have a happy “Step-Father’s” day. If I got to choose who my step dad is instead of mom choosing, I’d choose you too. I can’t think of anyone who could have stepped into being my father as well as you did. I’m glad that you are part of our family and that you make mom happy. When I think about how great our kids are, I have to remember that I couldn’t have done it without you. You hold many important titles such as friend, protector, provider, lover, and husband. Today, I am most grateful to celebrate your work and sacrifices that make you a great father. I don’t think I could handle the kids without a strong father like you to support my efforts. Thanks for being a great teammate in our parenting.